It's summer time again and everyone is in the middle of planning for a holiday to escape the crazy heat. While many prefer exotic locations like Turks and Caicos to unwind and chill on the beach, quite lot of people go the European way. But before you make a hasty decision to pick a place to head off to, let our B-Town celebs tell you where to plan your upcoming vacation to. 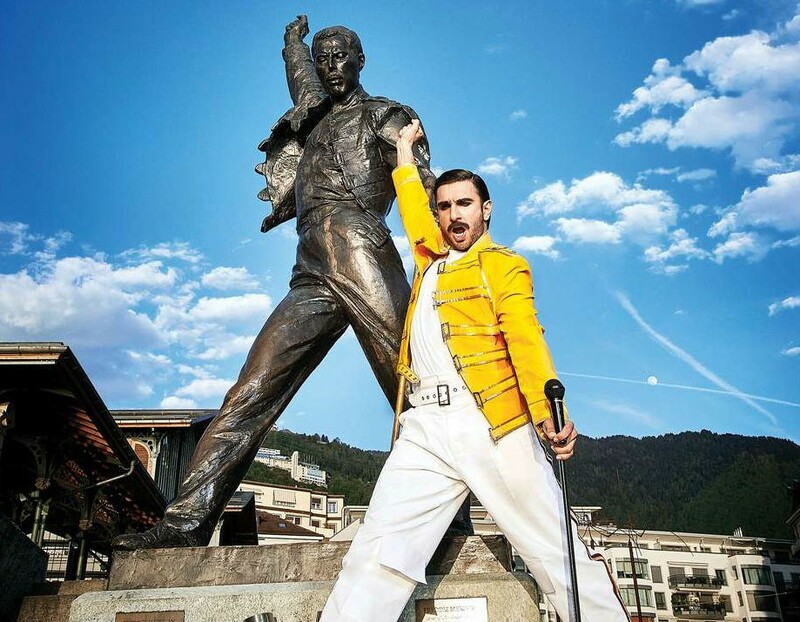 1) Ranveer Singh – Bollywood's King of Quirk, Ranveer lived it up in Switzerland, where he even took pictures in front of Freddie Mercury’s bronze statue that is located in Montreux across the lake from the late singer’s home, impersonating the Queen frontman’s trademark pose in full costume, complete with the moustache. 2) Taapsee Pannu – This Punjabi kudi vacationed in Spain with her sister, Shagun and from the looks of it, they have had a ball! Visiting cities like Madrid, Seville, Barcelona and Valencia, the Pink actress documented her well deserved break and if her Instagram stories are anything to go by, had a wonderful time with her sister in the land of flamenco and salsa, giving us some serious sister-vacation goals. 3) Sidharth Malhotra – This handsome hunk gave us major FOMO from Andaman and Nicobar Islands! Right from cycling around beautifully paved streets of Havelock, to becoming a certified scuba diver along the coast, Sidharth’s vacation has left us wanting to run off to this union territory sooner rather than later. 4) Parineeti Chopra – The Ishaqzaade actress recently returned from her long pending break to the Land Down Under and boy are we jealous! If pictures were worth a thousand words, Parineeti has left us speechless with her fantastic memories from Australia. Right from the wide open Bondi beach to the rainforests of Queensland, Chopra has clearly given us some wonderful ideas for our next vacation spot. 5) Richa Chadha and Ali Fazal – This cute couple also jetted off to Switzerland to spend quality time together. The Fukrey co stars who have been super busy with their respective projects (Richa’s shooting for Abhi Toh Party Shuru Hui Hai while Ali is finishing the last schedule of Milan Talkies), have finally found time to spend together and were in Geneva for a couple of days.